Rwanda is one of the most scenic and challenging countries I’ve cycled through in Africa. Le pays de milles collines (land of a thousand hills), as it’s sometimes called, seems a rightly justified title. Despite the scarcity of flat land, the soil is too fertile to be left uncultivated. 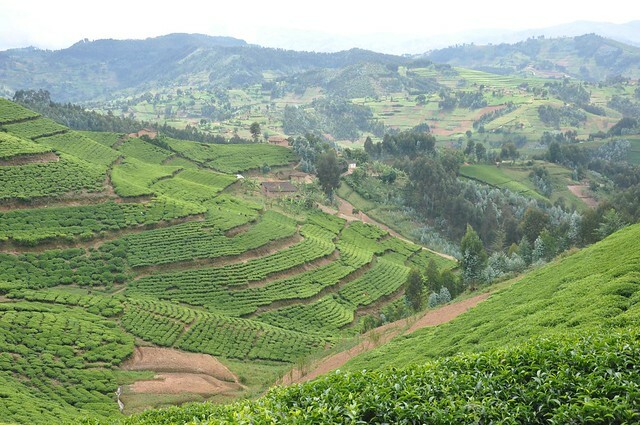 This picture shows tea plantations in the north west of the country, close to Lake Kivu. I only spent a week here before crossing into Uganda. You can read the post in which this photo originally appeared here.